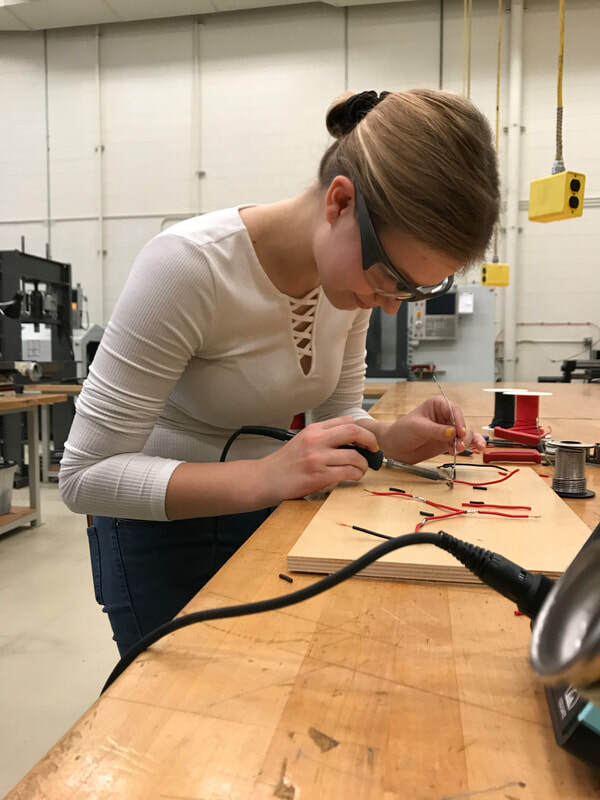 ​The Society of Women Engineers is the world’s largest advocate and catalyst for change for women in engineering and technology. 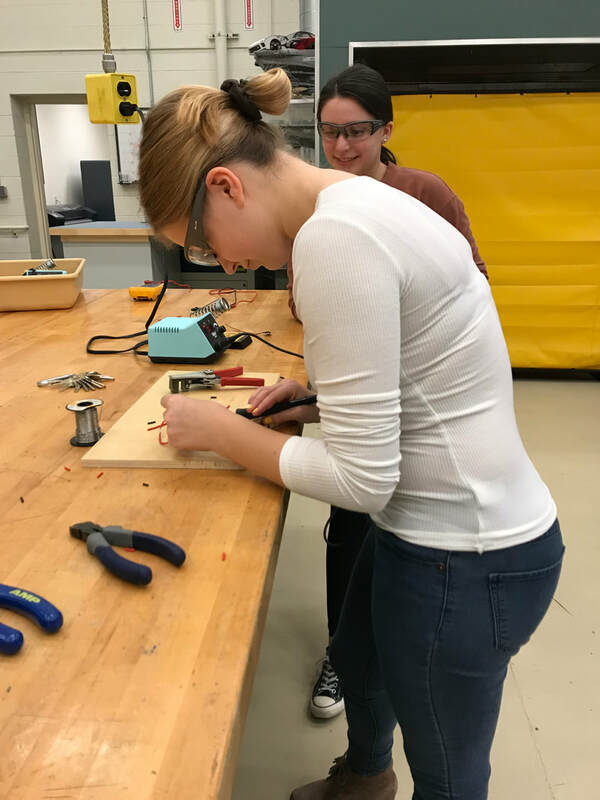 We help members reach their full potential as engineers and leaders through networking, professional development and the shaping of public policy. And, we inspire young girls to become engineers and support them with scholarships. 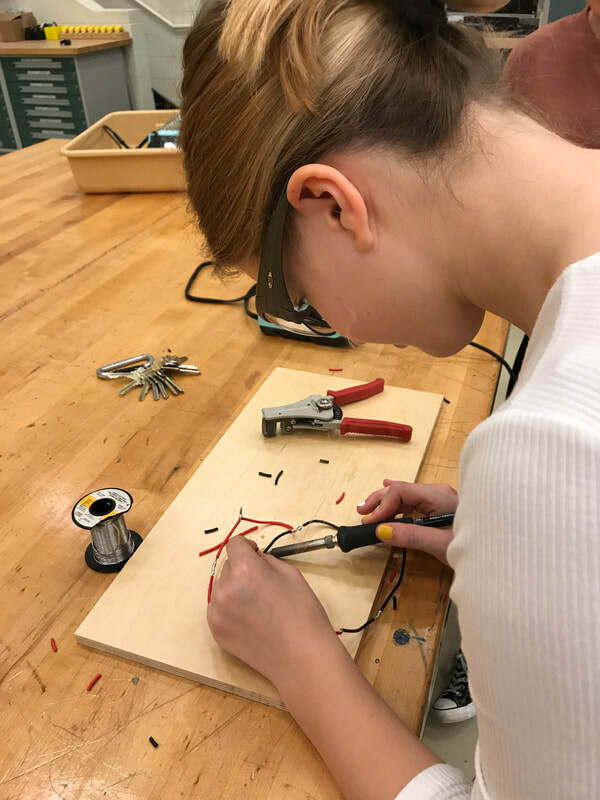 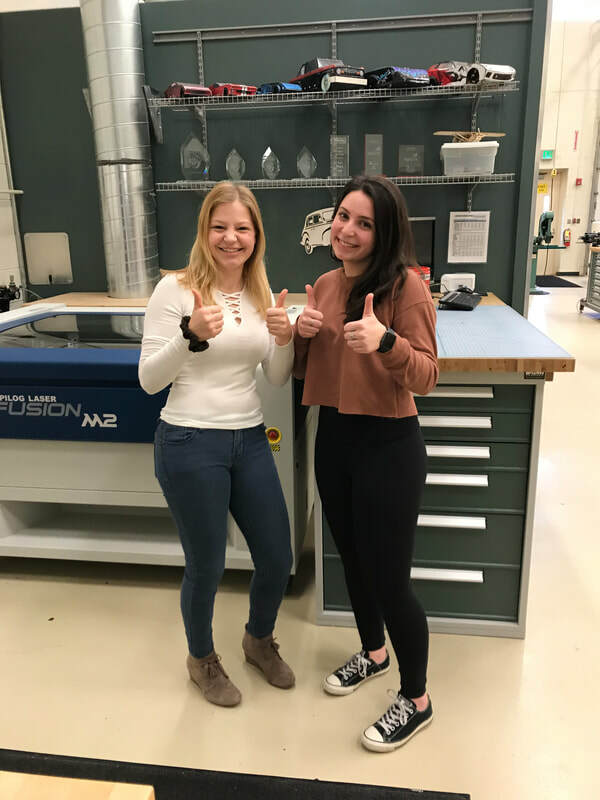 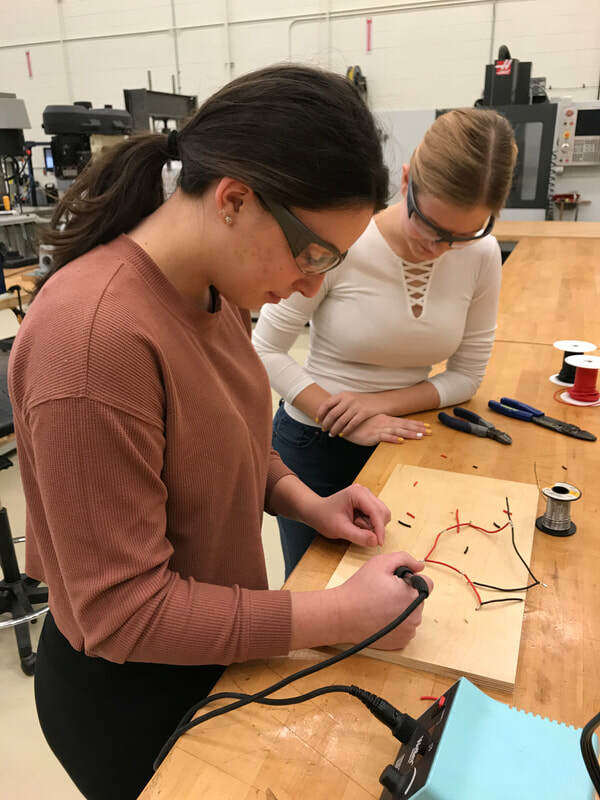 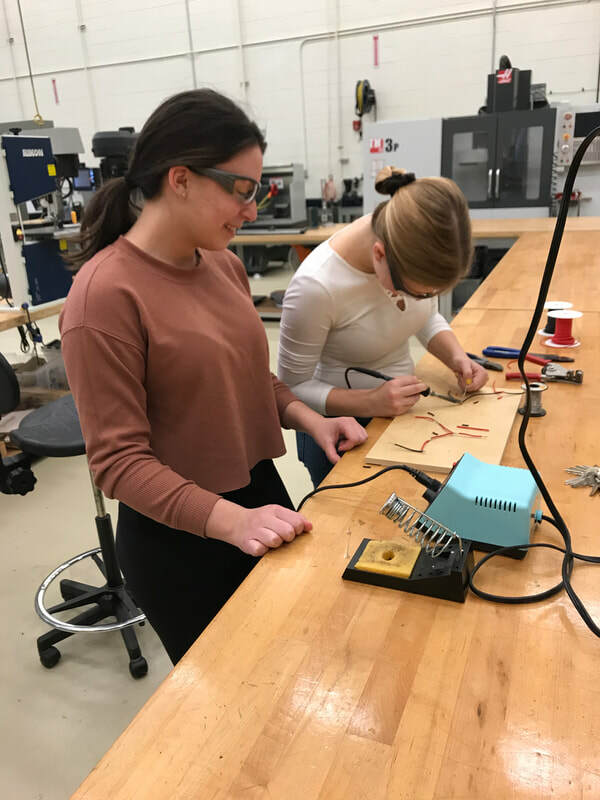 Juniors Bianca Vitale and Abigail Bartsch learn how to professionally solder for the start of their new project.